Sorry I’ve been MIA. I went out of town and the day after I got home, M left for his first year residency in Arizona for his doctoral program. He was gone for 5 days of intensive coursework and it doesn’t sound like that long, but it is a really long time when you’ve got 3 little ones all to yourself. Thankfully, my friend Becky came over the hill to visit for a couple of days with her 2 rugrats. My girls adore hers so it was nice to have them entertain themselves for a bit. She was a great distraction for me during my Mom’s birthday on the 8th. 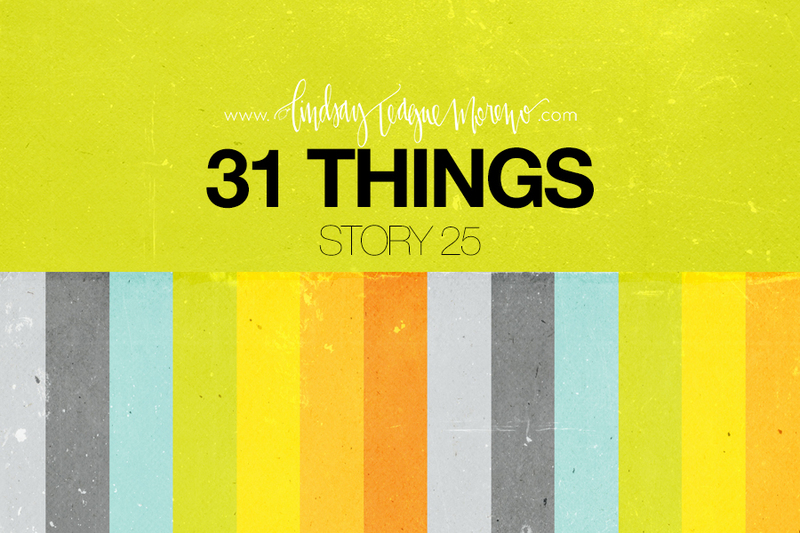 Anywho, I have the latest installment of my 31 Things project today. This one is probably my longest story but I didn’t want to leave anything out! This is a good look into our almost 5 years of marriage. i, michael/lindsay, do take thee, lindsay/michael, to be my lawfully wedded wife/husband. to honor, respect and to hold thy needs before mine own. to keep you as my one true love as God has ordained, for all of my life. this day i affirm before God and all witnesses my undying loyalty and pledge to forsake all others for you. to uphold you in sickness and health, to be your best friend, sharing in our happiness and sorrow, to always have compassion and love without reservation or reward. though life may be rich or poor, to you alone will i hold. to you this day before God i pledge this vow. michael and i took these vows together almost 5 years ago. i have a hard time believing it’s been that long. i can honestly say that we’re as close now as we were the day we got married. we have a great marriage, i believe. this is all God. i know learning and living new roles as husband and wife is difficult work and it is by God’s grace that we have remained so in love. our marriage hasn’t always been easy, but it’s so good. i thank God for him a lot (not as much as i should, however). i shudder to think of what my life would look like without him around. if you read the “carry” story, you know my husband is just good peeps. i married up. fact. just as our vows said, we’ve seen our share of both happiness and sorrow in these past (almost) 5 years. i thought i’d share a few of our best and worst relationship moments, a highlight and lowlight reel of sorts. i think it’s going to be a good look into what our future may look like. i hope so because the amazing moments shine all over those low moments. so much so, that i can hardly even see them. -the day we said “i do” and God answered my prayer (in highly dramatic fashion) for some sunshine through the rain. it was a beautiful moment. i hope i never forget it. -sleeping on the floor in what would be our future twins’ room on february 14, 2008 in our new home; the best house in the world for us. someday, i hope we can build a custom home that is this exact main floor plan. -trying to get pregnant. just being honest! that part of the whole pregnancy experience was so awesome; by far my favorite part! something just comes over a woman who has “the babies.” all i could think about was my husband with no clothes on! can i get an amen? -eating a canoli from mike’s pastry in boston before taking in a red sox game at fenway park. we travel well together. -the birth of boston & teagan on december 7, 2008. at 3 lbs and 4 lbs. we know it is God’s hands that developed their lungs enough to avoid intubation and allow them to breathe on their own. -getting hired to work from home for uop in january after the twins were born. this one was all God. the day i went out applying for jobs where i could work through the night (though i didn’t know when i would sleep), i got the call for this job. literally, the day. -taking the leap to move to colorado despite no guarantees and the odds stacked against the idea. i’m so glad i have a husband that is willing to take risk and work hard for the payoff. -surprising my mom on christmas eve with a visit to arizona. the 4 of us started our travel day at 3:30am to get there. she did not expect it and was so excited to see the girls. this was the last christmas she was alive. i’m so glad we spent it with her. thank God for that. -getting pregnant with kennedy on our very first “try” on new year’s eve 2009. i realize now that even though it was quicker than we had planned on, if we had not gotten pregnant this month my mom would have never met addy and i would have been too pregnant to go to her funeral (addy was 3 weeks old when she died). a total God thing; i’m starting to see a pattern of this kind of thing, you? -the birth of kennedy on september 24, 2010. i just love this little girl. having one baby is a completely different experience than twins. i don’t want to say it’s easy because that makes me sound like a total a-hole, but oh. my. gosh. it’s so easy in comparison. -the way michael carried me through the death of my mother (and continues to do so). it is a horrible thing to have to tell your wife something so devastating and that was his position on October 21, 2010. he sat me down on the couch and said to me, “this is the hardest thing i’ll ever have to tell you.” he didn’t try to smother me, he didn’t try to tell me it was going to be okay and even though his heart was broken for him (he loved my mom), it was broken for me more. he knew just what i needed that night. because of him, i know how approach death with someone i love. -putting up crown molding in our house in chandler. it was our first big fight and looking back, it was just because we were both so frustrated with it. i know i’ve said it like 5 times on this blog, but trust me. don’t do that crap on your own. hire it out. -20 weeks pregnant and the perinatologist tells michael and i that he’s only giving boston a 50% chance of making it because of their ttts. ooooh, boy, that was a tough day. followed by a visit to the emergency room at 25 weeks where doctors told us that we would be delivering that day (if you want to see m completely break down, tell him his babies are going to be born at 25 weeks). -i am 6 months pregnant with twins and my freelance job stopped paying my contract despite the fact that i was doing the work. no way i could find a job in that state. it was a really low feeling to be bringing babies into that situation. -leaving the hospital with teagan and leaving one tiny boston in the nicu and knowing i wouldn’t be able to see her very much before she came home because a)i couldn’t drive after surgery and b)i couldn’t take teagan in the nicu with me so someone had to be with her at home. -midnight-4:00am from december 31-february 7, 2009. this has got to be one of the toughest times for parents of twins. the girls would only sleep one at a time, would wake each other up, would not give their daddy and i more than about an hour of sleep at a time between feedings (if that, sometimes). breastfeeding them at the same time was a time-saver but i have never been so tired in my life. it was like torture some nights and when i would see my husband fall asleep while i was trying to feed them i would get so raging mad at him for no reason. this is also the time when we found out that michael is not a person that thinks with his rational mind in the middle of the night. he’s great in the mornings, but woooh, boy, watch out if he’s up at 3:00am against his will. -leaving our chandler house that we loved. i hoped we might live in it again, but something told me we probably would never move back. i remember driving down the street to catch a few hours of sleep before catching the flight to co and crying. -moving while 9 months pregnant to be closer to michael’s work. really, i don’t know how we did it. michael had a breakdown toward the end of the move, but we made it. turned out to be an excellent decision. -the death of my mother and the subsequent walk through grief. -leaving colorado that had become “home” to us for reno. i’m still holding out hope that God will send us back there and i know michael feels the same way. i know our futures are full of more high highs and low lows. my hope for our relationship is that michael continues to grow as a christian man and leads our family in that direction. i know he can speak into my life and the lives of our girls in a way that no other person can. i hope i continue to grow as a christian woman and am a good example of what a wife and mother should look like. i pray that God will continue to bless us with a good relationship and that we will fall in love a little more each day. Beautiful ! I love what you write ! Amen ! Thank you for sharing !